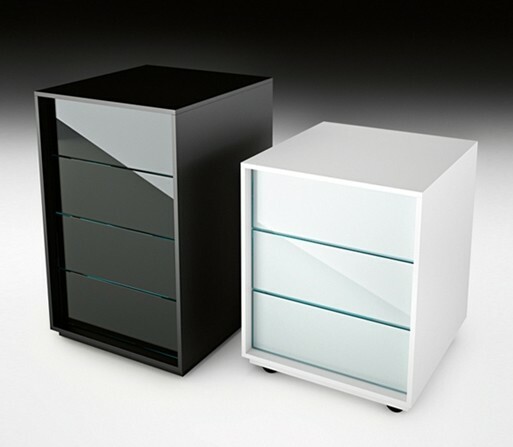 Drawer unit in white or black matt lacquered wood, with fronts in lacquered glass to match the structure color. Available with 3 or 4 drawers. Available with castors on request.